Arsenal legend Ray Parlour highlighted the main reasons why Aaron Ramsey will prove to be a great signing for both Cristiano Ronaldo and Juventus. After over a decade at Arsenal, Ramsey is set to leave this summer as a free agent after talks over a new contract broke down between the player and club. With just six months remaining on his current deal, Ramsey is free to enter negotiations with clubs outside of England over a pre-contractual agreement and he’s reportedly agreed to join Juventus for the start of next season. Real Madrid, Bayern Munich, Paris Saint-Germain and Inter Milan were all linked with moves for the Wales international this month. 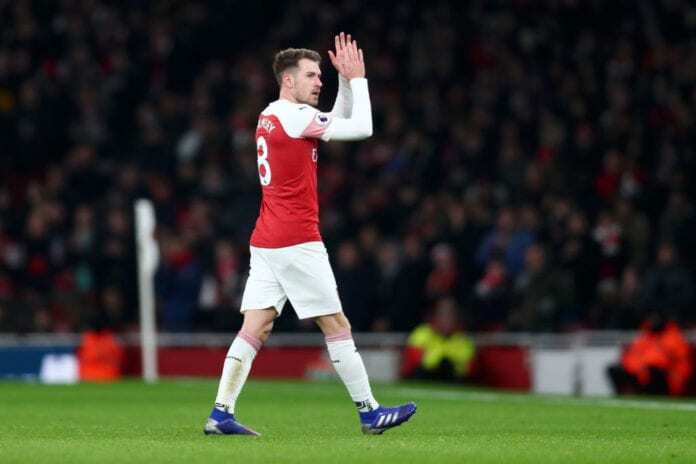 Despite the uncertainty surrounding his own future, however, Ramsey has not allowed it to affect his performances on the pitch for Arsenal with manager Unai Emery praising him for his commitment. The 28-year-old’s latest exploits saw him produce a brilliant performance in Arsenal’s 2-0 win over Chelsea last Saturday and he’s continued to leave the club’s highest earner Mesut Ozil benched. Speaking on Ramsey’s future, Parlour praised the Welsh star’s professionalism and added what he thinks makes him a great signing for Juventus. “It is very disappointing from an Arsenal perspective,” Parlour told Goal. “Arsenal fans would love to have seen him sign but it is also exciting for Ramsey. “He is going to a different culture and league. Obviously, Juventus have a great history in the Champions League. “He will be playing with Ronaldo, I wish him all the best. He has been a great servant to the club and I really praise him for the Chelsea performance. “That’s exactly how you should act when you know you are leaving the club, to give your all for the players and fans. “He showed he will play for his shirt until the end of the season. You have to give it all for the fans. He scores some vital goals in big games. His energy is excellent. 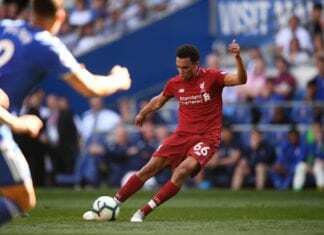 “He is decent on the ball, gets about the pitch and he makes good runs. What he has done well for Arsenal is that he makes that run into the back four which allows [Pierre-Emerick] Aubameyang or [Alexandre] Lacazette to find that little gap. That’s what Ronaldo and company will be getting. “He gives that space for the opportunity because he takes defenders away. So, that’s what he will bring to the team. “Hopefully, he will be in the team for Arsenal on Friday (against Manchester United in the FA Cup fourth round) because he deserves to be. Ramsey will likely start in Arsenal’s FA Cup fourth-round tie against Manchester United at the Emirates Stadium tonight with kick-off set for 20:55 (CET).